I'm your resident Tennessee Vols men's basketball beat writer for the Knoxville News Sentinel. "Bibamus, moriendum est." So in other words, hold tight. As reported by your News Sentinel, the Vols’ non-conference slate has already been finalized. Tennessee will host N.C. State, Virginia, Morehead State, Tennessee State, Tennessee Tech, USC-Upstate, The Citadel and Tusculum College. The Vols will face Xavier and Wichita State in true road games and participate in the Battle 4 Atlantis in the Bahamas where they will face UTEP, either Iowa or Xavier, and Kansas, Southern Cal, Villanova or Wake Forest in the final round. This entry was posted in Uncategorized on August 13, 2013 by Brendan Quinn. Cuonzo Martin’s first big recruiting coup as Tennessee coach was yanking Jarnell Stokes out of Memphis. Now he wouldn’t-mind pulling another top-50 power forward from the hoops hotbed. The Commercial Appeal’s John Martin (@JohnMartinCA) reported Friday afternoon that White Station High School’s Leron Black has announced where he will take his five official visits. Tennessee made the cut, along with Illinois, Baylor, Indiana and Florida. Martin also reported Black will take an unofficial visit to hometown Memphis. The News Sentinel learned there is no date scheduled for Black’s visit to Knoxville. The Vols currently hold three verbal commitments from top-150 recruits in the 2014 class: Springfield, Ill., point guard Larry Austin (No. 100), Fayetteville, Ga., power forward Philip Cofer (No. 134) and New Orleans shooting guard Jordan Cornish (No. 142). This entry was posted in Uncategorized on August 9, 2013 by Brendan Quinn. Tennessee is still in the hunt for Kevon Looney. Now it’s known why. Last week Looney told ESPN the Vols are among six programs he’s considering for his college destination, along with Duke, Florida, Michigan State, UCLA and Wisconsin. “One thing Michigan didn’t do is I don’t think they called my parents as much as the other schools,” Looney added. While Duke is widely considered as the favorite for Looney’s services, the Vols still appear very much in the mix. Additionally, Looney said he’ll make his decision “probably in October” and that he plans to take all five of his official visits. This entry was posted in Uncategorized and tagged Kevon Looney Tennessee on August 7, 2013 by Brendan Quinn. 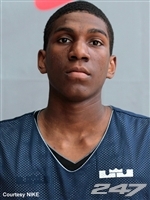 According to CBSSports.com recruiting writer Jeff Borzello (@jeffborzello), Class of 2014 point guard Larry Austin will announce his college destination today. Tennessee could hear its name called. Most analysts think Austin, a Springfield Ill., native, has narrowed his choice down to the Vols and Kansas State. Of the analysts voting in the 247 Crystal Ball, all think Tennessee will win out over Bruce Weber and the Wildcats. The Vols have a serious need at the point guard position following this year. Other than freshman Darius Thompson, the list is lean when it comes to potential primary ballhandlers. Austin could fill that void as soon as Thursday afternoon. Austin is ranked as the No. 100 overall recruit in the 247Composite, which equally weighs prospect rankings and ratings from major recruiting media outlets. He is ranked as the No. 24 point guard in the country and No. 8 recruit in the state of Illinois. This entry was posted in Uncategorized on August 1, 2013 by Brendan Quinn. When five-star Evansville, Ind., guard JaQuan Lyle pledged his commitment to Louisville on June 26, a shift atop the ladder of Tennessee recruiting occurred. When it came to the Class of 2014, Lyle was off the top and five-star Milwaukee, Wis., forward Kevon Looney slid upward. 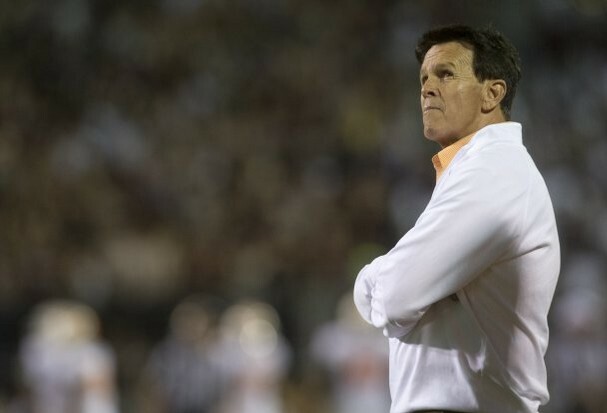 In that regard, the Vols received some good news just after midnight on Thursday. Looney told ESPN.com national recruiting director Paul Biancardi that Duke, Florida, Michigan State, Tennessee, UCLA and Wisconsin comprise his final six schools to choose from. It’s widely believed (by recruiting analyst-types) that the race is down to Duke and Florida, but at least, for Vol fans, Tennessee is still in the game. Looney is ranked as 2014’s No. 9 overall recruit in the 247Composite, which equally weighs prospect rankings and ratings from major recruiting media outlets. He is ranked as the No. 1 small forward in the nation. That’s former Vol Marcus Haislip in the picture. Haislip was a 6-foot-10 versatile forward who averaged 16.7 points per game as a junior at UT in 2002 before becoming the No. 13 overall pick in the NBA draft. It’s known that Kevon Looney was playing at the Adidas Invitational on July 11 and Martin was constantly spotting courtside at his games. Thus, it’s doesn’t take Sherlock-ian skills of deduction to figure out that Martin’s tweet was aimed at Looney. Now in Looney’s final six, Martin and the Vols will have to figure out a way to shoulder alongside Duke and the others and into his final three. Another recruiting nugget from late Wednesday evening to start the day with: the coach of four-star Spring Hill, Tenn., forward Makinde London told freelancer Jeremy Woo that London is down to Georgia Tech, Miami, Mississippi State, Northwestern, Tennessee, Vanderbilt, VCU and Xavier. That’s an interesting and eclectic mix of schools. London is ranked as the Class of 2014’s No. 85 recruit overall in the 247Composite. He’s ranked as the No. 24 small forward and No. 4 recruit in Tennessee. PHOTO BY CHAD GREENE Tennessee’s Jordan McRae, left, fouls Xavier’s Justin Martin as he takes a shot in the second half of an NCAA college basketball game on Saturday, Dec. 29, 2012, in Knoxville, Tenn. Tennessee defeated Xavier 51-47. The Vols and Musketeers could meet as many as two times during the 2013-14 season. The release of the Battle 4 Atlantis bracket on Monday offered the final brush strokes to Tennessee’s 2013-14 non-conference schedule. The following is a team-by-team look at the entire schedule with some thoughts on how each game can impact the Vols’ high NCAA tournament hopes this season. First, here is an overview of the schedule. The Vols will host N.C. State, Virginia, Morehead State, Tennessee State, Tennessee Tech, USC-Upstate, The Citadel (part of Battle 4 Atlantis) and Tusculum College. Road trips include dates at Xavier and Wichita State and three neutral court games at the Battle 4 Atlantis, beginning with an opening-round game against UTEP. Analysis: The Pack loses Lorenzo Brown (declared early, selected second round of NBA draft), C.J. Leslie (declared early, undrafted), Rodney Purvis (transferred to UConn), Richard Howell (graduated) and Scott Wood (graduated) from a team that considerably underperformed after being ranked No. 6 last preseason. Picked to win the ACC, coach Mark Gottfried’s team instead finished fifth and lost to Temple in its opening NCAA tournament game. The above players were five of the six leading scorers from that team, accounting for 61.1 points per game. Yes, freshmen Anthony Barber, BeeJay Anya and Kyle Washington are all top 100 recruits. No, I don’t think they will make that big of a difference. The good news for the Vols is that even if N.C. State finishes in the ACC basement (which it will), the Pack won’t damage UT’s strength of schedule. Why? Because the top of the ACC is damn good and Duke, Syracuse, North Carolina, Virginia, Notre Dame, Pittsburgh and Florida State could all finish in the top 50 of the RPI. That directly helps N.C. State, which indirectly helps Tennessee. I recently said during the News Sentinel Sports Page that in a perfect world, UT would have played at N.C. State this season (to gain RPI points by playing a very winnable true road game) instead of next year when State is (presumably) better. It didn’t work out that way, but a home win over N.C. State in 2013-14 will at least look good, even if the Pack is not. The Vols are 3-5 all-time against N.C. State. Analysis: Unlike the above Wolfpack, the Cavaliers bring the best of both worlds — a good team from a good league. UVA boasts ACC Player of the Year candidate Joe Harris and a potential all-conference frontcourt of Akil Mitchell and 6-11 center Mike Tobey (Caution Vols: matchup problem). A win over UVA last year might have pushed UT into the NCAA tournament. The Vols would be well advised to take advantage this time. I view this as one of the three or four most important games on the schedule. UT didn’t capitalize on key non-conference games last season (UVA, Georgetown, Memphis) and needs to flip that script in 2013-14. The Vols are 4-7 all-time against Virginia. Analysis: Under coach Donnie Tyndall, Morehead made two NCAA tournament appearances from 2009-2012, winning 50 Ohio Valley Conference games over the four-year stretch. Tyndale departed to Southern Miss (went 27-10 last year), though, and Morehead took a step back under first-year coach Sean Woods (of Kentucky “Unforgettables” fame). The Vols will hope Morehead can climb back toward the top of the OVC this year. If anything, staying out of the sub-200 RPI range will suffice. The Vols are 3-0 all-time against Morehead. Analysis: Belmont (24) and Eastern Kentucky (69) were the lone OVC schools to finish with top-100 RPIs last year, but Tennessee State barely missed. That’s the good news. The bad news is the reason for that success, Robert Covington and his 1,749 career points, is on the Houston Rockets’ summer league roster. Covington averaged over 17.0 ppg the last two season and TSU (not coincidentally) posted respectable RPIs. Now that the star is a Rocket, look for those numbers to wane. The question is, how far will TSU drop? The Vols are 3-0 all-time against TSU. Analysis: Yet another OVC team. The Golden Eagles took a step back last year after coach Steve Payne went 19-14 in his first season. They went 5-11 in league play, including a 31-point home beat down against Belmont. Now TTU loses all-league point guard Jud Dillard but returns SMU transfer point guard Jeremiah Samarrippas. This and the following two games are the potential strength of schedule leeches on the Tennessee slate. The Vols are 20-1 all-time against TTU. Analysis: Coach Eddie Payne at least has things going in the right direction after winning 11 games combined in 2009-10 and 2010-11. Upstate finished fourth in the Atlantic Sun last year, but lost six of its last eight league games after starting 7-3 in conference. The Vols should easily handle the Spartans, then turn around and cheer for them to make a run in the Atlantic Sun. Analysis: An average two-year RPI of 328 is cringe-worthy. I’m under the impression that UT didn’t have a say in who its on-campus opponent would be in the Battle 4 Atlantis and the tournament did the Vols no favors here. The Citadel has been woeful the past two seasons. How woeful? Well Yemi Makanjuola scored 16.2 percent of his 111 career points in one night against the Bulldogs. The Citadel went 5-13 in the SoCon last year. Could coach Chuck Driesell’s team be better, I don’t know. What I do know is Driesell is 24-68 in three years at the helm. The Vols are 4-0 all-time against The Citadel. Essentially, Division II opponents count as a win on the schedule, but not as a canker on the strength of schedule rating. As the MWC proved, playing these games is far more advantageous than scheduling, say, The Citadel and its potential sup-300 RPI. The Vols are 10-2 all-time against Tusculum. The two haven’t met since 1944. Analysis: The numbers say Xavier’s seventh-place Atlantic 10 finish last season was a mirage. Coach Chris Mack’s team is moving to the revamped Big East this season, joining Georgetown, Villanova, DePaul, Marquette, St. John’s, Providence, Seton Hall, Butler and Creighton. While DePaul, St. John’s and Seton Hall are still scuttering to find success and stability, the rest of the league is ripe with strong programs and robust RPIs. Looking far, far ahead, I imagine five or six Big East teams landing in the NCAA tournament, with Xavier being right in the four-to-seven range in the league standings. The Muskies will be led by A-10 freshman of the year Semaj Christon (15.2 ppg), who carried much of the load after Xavier lost its top five scorers from 2011-12. Xavier adds transfer center Matt Stainbrook, who averaged 11 points and nearly seven rebounds as a sophomore at Western Michigan, and highly touted freshmen Brandon Randolph, Jalen Reynolds and Myles Davis. As mentioned above, key non-conference games will weigh heavily on Tennessee’s NCAA tournament hopes. The Vols play only two true road contests. In my opinion, winning at Wichita State will be harder, making this trip to Xavier potentially the most valuable game on the schedule. The Vols are 11-4 all-time against Xavier. The Shockers lose Carl Hall and Malcolm Armstead from last year’s Final Four team, but return Cleanthony Early, Tekele Cotton and Ron Baker. Early was a non-factor when UT and Wichita met last December, a victory that ended up being the Vols’ non-conference highlight of the year. Early scored just two points and fouled out in 17 minutes that night. Early, though, is one of the most highly regarded players returning to college basketball this year. An outstanding 24-point, 10-rebound performance in the national semifinals against Louisville being a major reason why. I’m expecting to see loads of NBA scouts joining me courtside in Wichita to see Early and Jarnell Stokes battle in this one. As for the Vols’ non-conference picture, this meeting with coach Gregg Marshall’s team is a gem. A loss doesn’t hurt. A win is a major boost. The Shockers will be the preseason favorite in the Missouri Valley, a possible preseason top-25 team and should again produce an impressive RPI and strength of schedule. They will play at Alabama and Saint Louis in non-league play, host Tulsa and Western Kentucky, and participate in the CBE Classic in Kansas City with BYU, Texas and DePaul. The Vols are 1-2 all-time against Wichita State. Analysis: The Vols have to get past UTEP and into the tournament winner’s bracket. That’s mandatory as far as RPI/NCAA tournament concerns go. Read more about UTEP in today’s News Sentinel’s story on the release of the Battle 4 Atlantis bracket. The Vols are 0-1 all-time against UTEP. The Vols are 1-2 all-time against Iowa. The Vols are 1-1 all-time against Kansas. The Vols are 4-3 all-time against USC. The Vols are 1-2 all-time against Villanova. The Vols are 7-2 all-time against Wake Forest. This entry was posted in Uncategorized on July 29, 2013 by Brendan Quinn. Thanks to a bum shoulder, then a bruised back, Tennessee forward Derek Reese wandered through an enigmatic freshman season. It was really no fault of his own. Reese tore his lebrum before UT’s 2012 Italian preseason tour. He made it back by midseason (well ahead of schedule), delivered an occasional impact, and promptly injured his back to miss eight of the Vols’ last nine games. The highlight of the year was a Dec. 29 debut against Xavier that Reese said afterward was “just like a fairytale.” The 6-foot-8 reserve hit two 3-pointers in a game-changing 19-3 UT run and tipped an ill-advised cross-court pass to force a key turnover late in the 51-47 win. The Florida native went on to appear in 13 SEC games, averaging 3.5 points and 2.2 rebounds in 12.9 minutes per league outing. He made 3-of-5 3-pointers in a win over Mississippi State. He grabbed eight rebounds in a loss at Arkansas. After playing five minutes in UT’s 30-point thrashing of Kentucky, Reese saw his season essentially end. He played three minutes in one appearance over the final eight games. That luckless freshman campaign made Reese an intriguing Vol this summer. He was tabbed for the Puerto Rican men’s national team after leading the Puerto Rican U19 team last summer with 21.0 points and 12.3 rebounds in the Nike Global Challenge. Reese and the national team competed in the 2013 FIBA Stanković Continental Champions Cup June 27 through July 9 in China. Playing against older, elevated competition, Reese appeared in nine games, playing 15.1 minutes per outing. He averaged 1.7 points, 2.0 rebounds, 0.3 assists and 0.6 turnovers. One can only read so much into stats posted in international tournaments. However, Reese’s shooting numbers might raise an eyebrow. He shot 26.1 percent (6-23) from the field and 18.2 percent (2-11) from 3-point distance. Is that cause for concern? 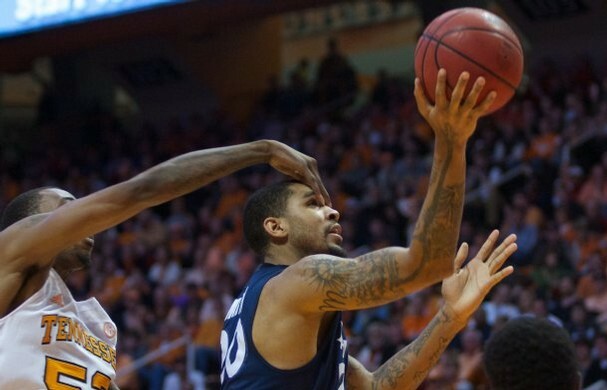 UT coach Cuonzo Martin often speaks of Reese as a tool to stretch opposing defenses. He’s the kind of long, versatile utility player that Martin wants at the four spot. If Reese’s jump shot is ineffective, though, it’s hard to see that role being fulfilled. As of now, Reese looks like UT’s first option off the bench in the post behind Jarnell Stokes and Jeronne Maymon. He’s further ahead developmentally of freshman A.J. Davis and juco center Rewane Ndiaye can only play the five. Who else would be ahead of Reese? Quinton Chievous back in the role of the 6-foot-5, undersized four? Perhaps. At 6-foot-6, could D’Montre Edwards adjust his role and slide down to the blocks? No, I do not see that happening. It’s Reese and given Maymon’s mysterious healed/injured/healed again/injured again knee, his health and play should probably be talked about a bit more. This entry was posted in Uncategorized on July 18, 2013 by Brendan Quinn. Tennessee athletic director Dave Hart didn’t trek to Hoover, Ala., for this year’s SEC Media Day. Not many ADs do. Their presence isn’t necessary. Speaking with Hart this morning, I mentioned that any time a program gets in and out of Hoover without stirring controversy or delivering a blundered quote, it should be considered a success. “That’s absolutely right,” Hart said. Which is why the UT athletic director is more than pleased with first-year coach Butch Jones and players Ja’Wuan James, Tiny Richardson and Jacques Smith. The group navigated a Wednesday stay at Media Day without a stepping on any landmines. There were no noticeable gaffs or “uh-oh” quotes, though, Richardson saying, “That won’t happen again,” regarding last year’s loss to Vanderbilt will come back around when the program’s meet Nov. 23. 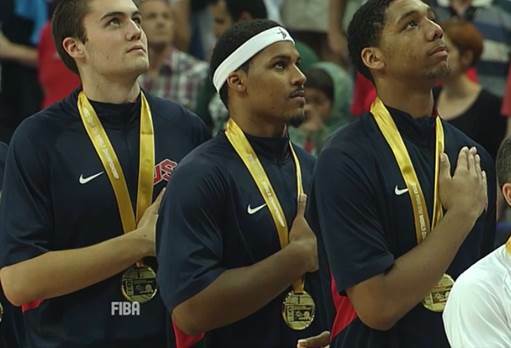 Jarnell Stokes is returning to the United States with a gold medal in tow for the second straight summer. A year ago the Tennessee forward starred for the U.S. U18 National Team through a five-game romp in the 2012 FIBA Americas Championships in Brazil. This summer saw Stokes and the U.S. Junior National Team roll to a 9-0 record and a title in the 2013 FIBA U19 World Championship in Prague, Czech Republic. Both teams were coached by Florida’s Billy Donovan. Though the gold is the same, the numbers are noticeably different. 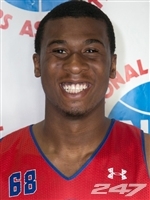 2012 U18: Stokes averaged 14.0 points, 5.6 rebounds and shot 68.9 percent in 20.2 minutes per game. Looking at Stokes’ game-by-game stats in Prague, the rising junior posted consistent numbers after scoring double-figures in the tournament’s opening two games. Other than a rough 0-for-5 outing in group play against Serbia and a 2-for-4 showing in Sunday’s championship against the Serbs, Stokes converted three field goals in five of the Americans’ last seven games. He never played more than 15 or less than 10 minutes. Stokes’ 11-for-20 free-throw shooting (55.0) was only a slight improvement from his sophomore season at UT, when he shot 52.8 percent.. So what, if anything, can be made from Stokes’ decreased production from the U18 to U19? It’s hard to say. The Americans romped to nine wins by an average of 39.6 points in Prague. All 12 players averaged over 10 minutes per game. No one took less than 30 field-goal attempts. Stokes was one of three players to start all nine games and ranked eight on the team in scoring (7.2 ppg) and second to last in minutes played (12.7 mpg). Two things to consider when assessing Stokes’ production. * Donovan and assistant coach Shaka Smart ran a pressing, pressure defense – not the ideal system for a 6-foot-8, 270-pound power forward. * Oklahoma State guard Marcus Smart, a second-team All-American and projected top five pick in the NBA draft, ranked eighth in minutes (15.8 mpg) and fifth in scoring (9.6 ppg). Is anyone concerned about the best returning guard in college basketball? This entry was posted in Uncategorized on July 8, 2013 by Brendan Quinn. The 2013 Rocky Top League concluded Tuesday night at Christian Academy of Knoxville with a News Sentine team piloted by former Vol Wayne Chism out-dueling Campus Lights and the duo of UT’s Jordan McRae and Minnesota transfer Dre Mathieu. This entry was posted in Uncategorized on July 3, 2013 by Brendan Quinn.